Nepali Brihat Shabdakosh shortly known as Nepali Shabdakosh contains almost all words from Nepal and Nepalese language. 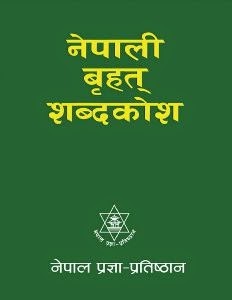 This Nepali Dictionary, Brihat Shabdakosh is published by Pragya Pratisthan, Nepal. This is the seventh edition of Nepali Shabdakosh. The hard covered book can be bought from market but here its Pdf from is available for download. You can Download Nepali Brihat Shabdakosh form here > Download.